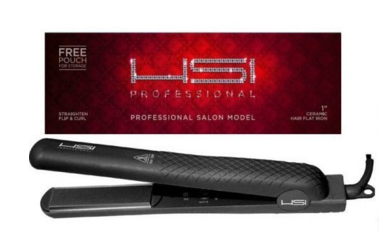 HSI Professional 1 Ceramic Tourmaline Ionic Flat Iron Just $35.99! FREE Shipping! You are here: Home / Great Deals / Amazon Deals / HSI Professional 1 Ceramic Tourmaline Ionic Flat Iron Just $35.99! FREE Shipping! Check out this fantastic deal on Amazon! HSI Professional 1 Ceramic Ionic Flat Iron is just $35.99 down from $199! And there’s FREE shipping! Get yours now while this price lasts!